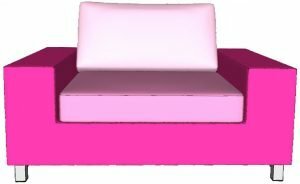 How to Order Online your Tailored cushions Cover ? Follow the instructions and send us the photos of your cushion. Within a few hours of sending photos, you will receive an email with a discount on the price list. Accept the quote and we will send you the order form where you will be given step by step instructions to take measurements of your couch for the manufacturing of the cover. Within 15 business days, you will receive your tailored cushion covers directly to your home. It is important to keep in mind that your couch photos are absolutely necessary in order to have both, the best and more precise price and the effective production of your custom slipcovers. Take some photos of the couch you want to cover with a Coverissimo as shown in the images below. Before taking photos, make sure there are no obstacles betweeen you and ottoman.Make sure that on the sofa there are NO blankets,pets, and objects that could prevent the complete view of the furniture. United StatesCanadaPuerto RicoGuamVirgin Islands, U.S.